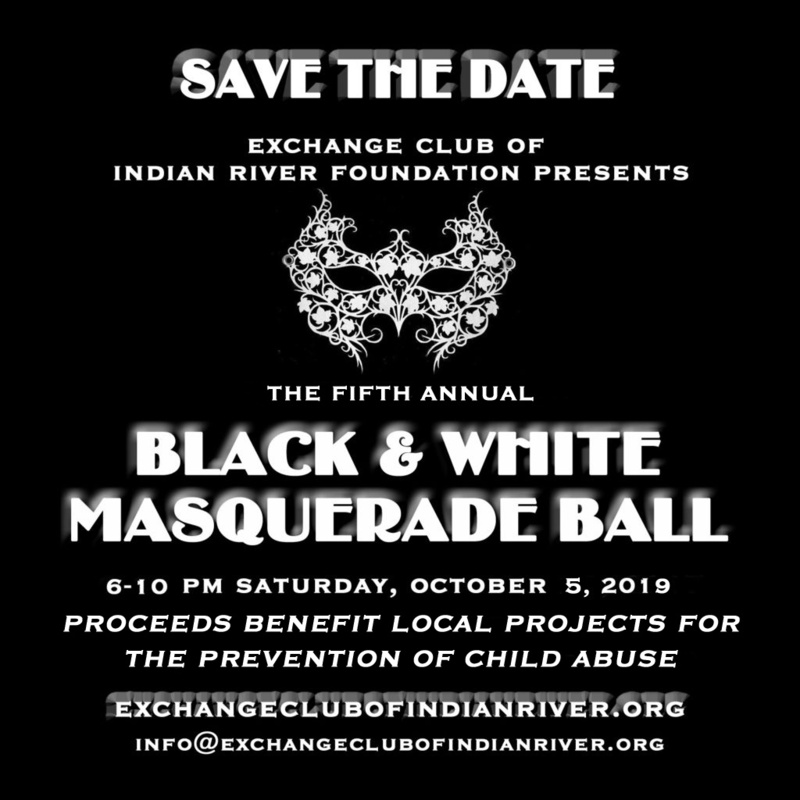 The Fifth Annual Black & White Masquerade Ball will be held 6:00-10:00 pm Saturday, October 5, 2019. Sponsored by Exchange Club of Indian River Foundation, this popular event featured a social hour, dinner and dancing, silent and live auctions, and much more. Festive black and white country club attire and imaginative masks are the order of the evening. 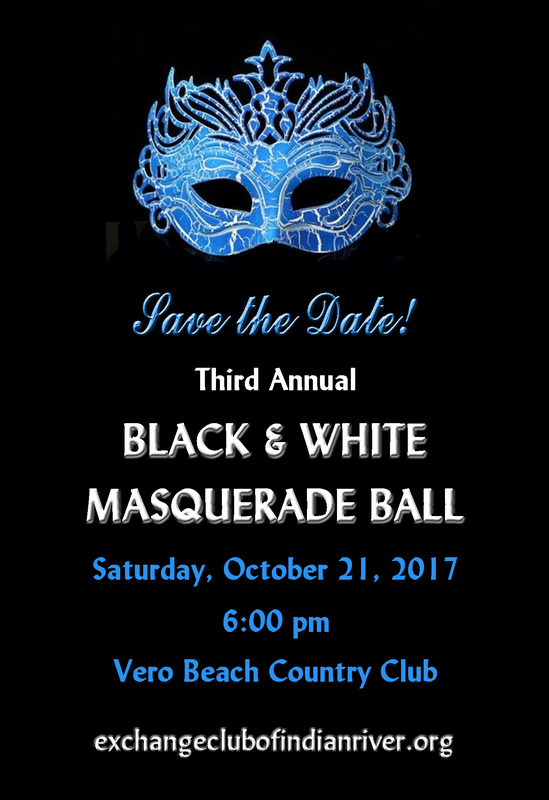 All proceeds – 100% – from the event benefit local projects for the prevention of child abuse. Watch our Facebook page and this website for coming details. 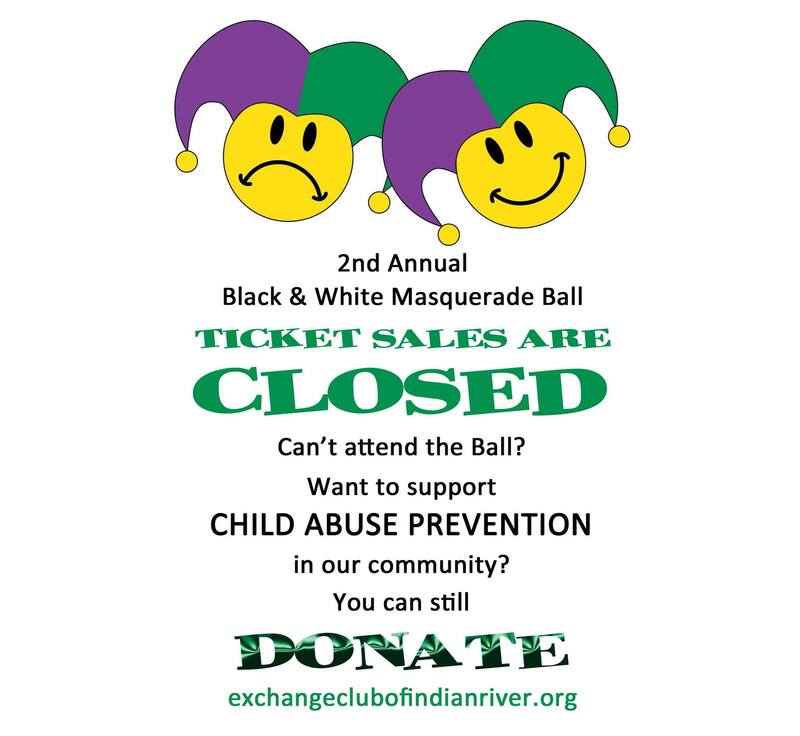 To learn more about attending and sponsoring the event, email info@exchangeclubofindianriver.org. needy children in our community.